The advertisements across New York's subway system never fail to feed my sick fascination with capitalism and manipulative marketing. Perhaps the most intriguing (and infuriating) are advertisements targeting millennials, touting products and services with an appeal to laziness and contrived "Netflix and chill" slang. Getting off the subway in Manhattan the other day, I walked through a wall-to-wall campaign that surpassed any ad I had ever seen. Video game-like cartoon icons of castles and stars decorated images of various people made to look like rockstars and makeup artists. 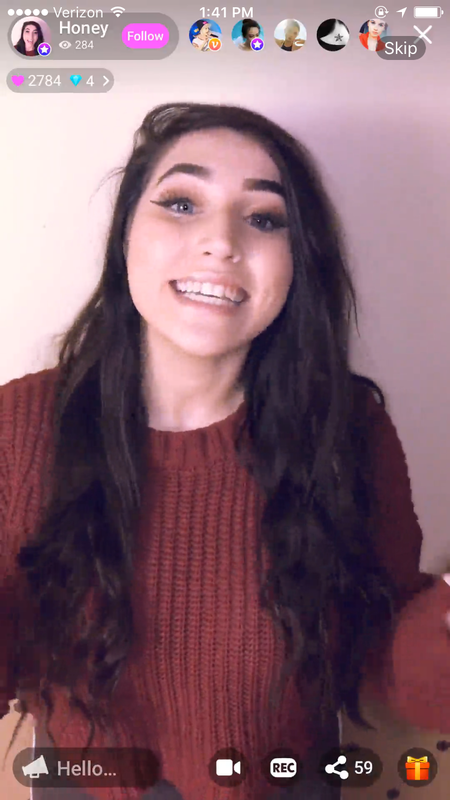 Now *insert fake name* gets paid for what she loves to do thanks to Live.me, the signs told me. There was something unsettling about being surrounded by these ads. They seemed dishonest for some reason, like a sugarcoated con. 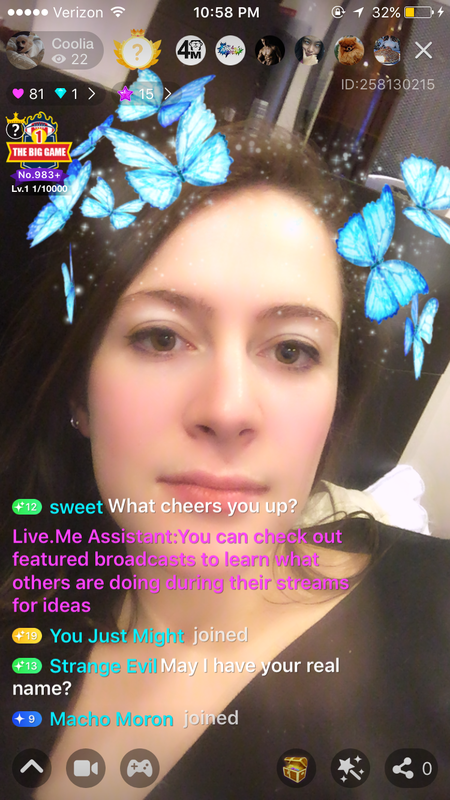 Live.me, I later found out, is a one-year-old live broadcasting app. Users enter into a digital community comprising over 35 million people from around the world, in which they can watch live streams and broadcast their own. From there, users can follow people, comment on their feeds, and — possibly the main draw — send cash gifts. The app also hosts a daily game show broadcast where they give away $2000. In the interest of free money and experimentation, I downloaded the app. 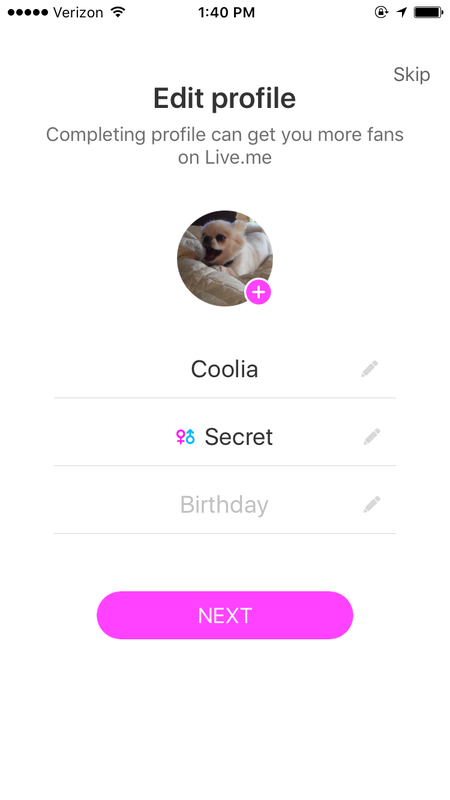 I chose the name "Coolia" for my account and used a picture of my dog, for safety. Then, I was given a list of suggested users to follow. A wildly cheery girl welcomed me and gave a run-down of how to use the app and find content that suited my interests. Some of the featured categories include "girls," "global," and "talent." I swiped through a few broadcasts. Some users were using the space to rant about a bad day, quite a few danced in front of the camera, others lip synced. 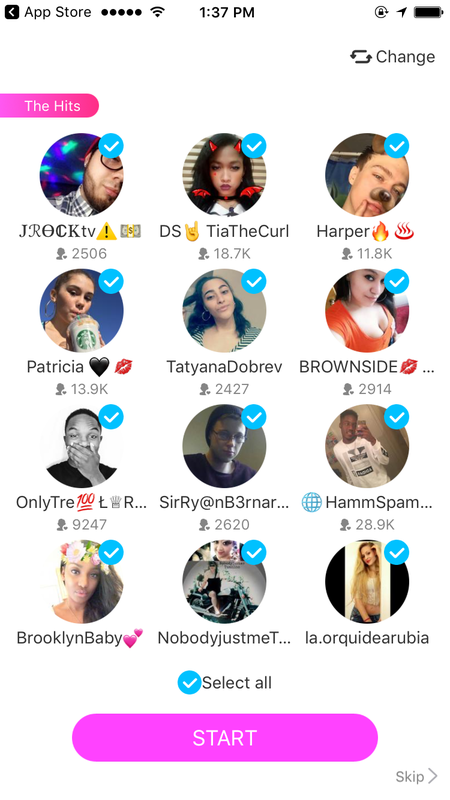 A trucker smoking a cigarette, a radio show host, a woman getting ready — these are just a few of the characters I met on Live.me. 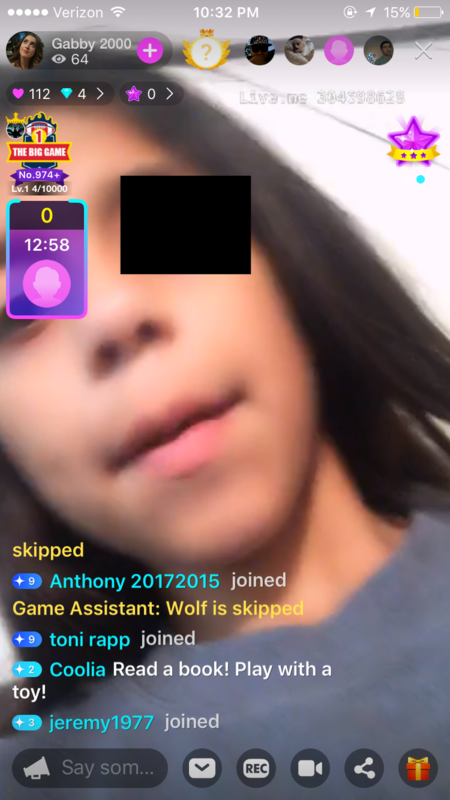 I came across a little girl, which was kind of disconcerting — because of possibly ill-motivated viewers, and also the realization that this is what children do for fun. Note my encouraging comment on the live stream, below. In my own broadcast, I kind of just sat there and asked how people make money on this app. Nobody answered that question, but a user asked what cheered me up. I said money. Exiting the stream after an uneventful seven minutes, I received a "diamond." Apparently, the longer your stream, the more diamonds and gifts you can receive. Gifts also turn into diamonds, and 40,817 diamonds will get you 200 real Paypal dollars. Seriously. I watched some other popular streams, most of which were girls dancing or singing or doing yoga. Hearts and coins and magical little images would appear on their screen; they'd thank the gift-giver and instruct us viewers to follow them. They were most excited when they received a "Porsche," which I assume turns into a lot of diamonds. It was extremely weird. 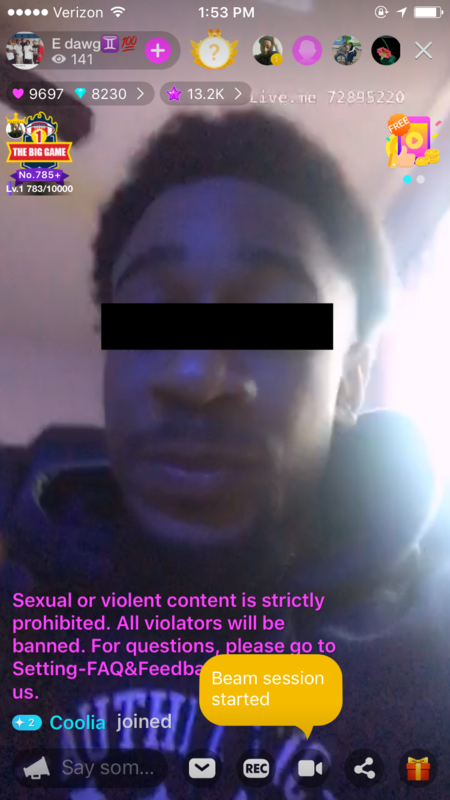 The whole experience felt like Snapchat meets Black Mirror. Most recently, Live.me hosted a concert series showcasing subway performers. And while there are positives to this platform helping artists and others make money, there are harmful risks that come into play including online predation and cyberbullying. 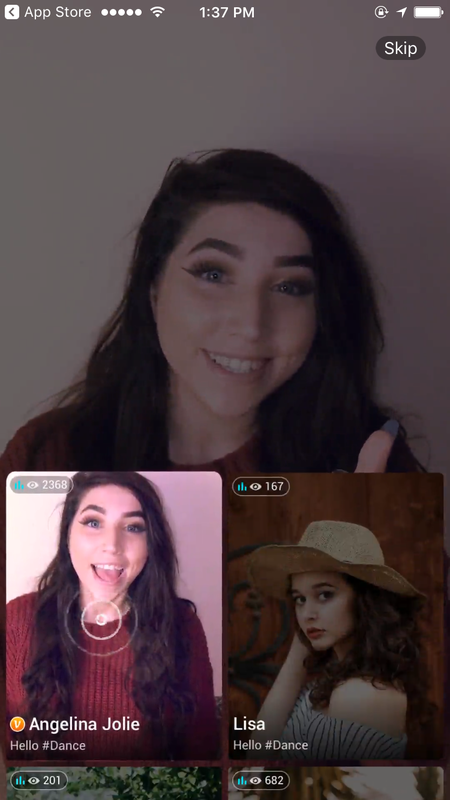 But if you've got time to kill and money to make, Live.me doesn't seem like the worst option.